Never has the distinction between the dark money candidates and the independent candidates have been so clear. In the state races, you have the usual suspects pushing for Screnock and eliminating the state treasurer - WMC, Kochs, NRA, etc. In the local races in Milwaukee County, we have a new dark money threat, Boss Abele has decided to go full slime in his efforts of buy-partisanship. Abele has spent over a million dollars to buy a handful of seats on the county board because he is sick and tired of having the little people (voters) foil his plans of creating the perfect plutopia. 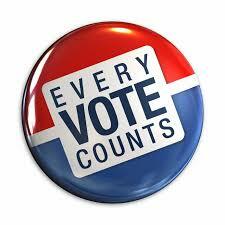 Polls are open from 7 am to 8 pm. Don't forget to bring your Voter ID.